Java is an object-oriented programming language. It provides support for various mechanisms such as exception handling. This feature of Java enables developers to manage the runtime errors caused by the exceptions. In this article, you will learn about exceptions in Java. You will also learn about different types of exceptions in Java. 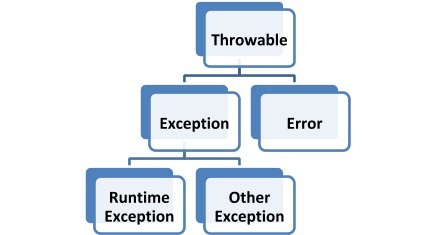 Exceptions are the unwanted errors or bugs or events that restrict the normal execution of a program. Each time an exception occurs, program execution gets disrupted. An error message is displayed on the screen. Whenever a user provides invalid data. The file requested to be accessed does not exist in the system. When the Java Virtual Machine (JVM) runs out of memory. Network drops in the middle of communication. Now let us explore different types of exceptions in Java. The parent class of all the exception classes is the java.lang.Exception class. Figure 1 illustrates the different types of Java exceptions. If we talk about the Exception class, it is a subclass of the built-in Throwable class. There is another subclass which is derived from the Throwable class i.e. Error as illustrated in Figure 1. The error can be defined as an abnormal condition that indicates something has gone wrong with the execution of the program. These are not handled by Java programs. public String getMessage() – Provides information about the exception that has occurred through a message, which is initialized in the Throwable constructor. public Throwable getCause() – Provides root cause of the exception as represented by a Throwable object. public void printStackTrace() – Used to display the output of toString() along with the stack trace to System.err (error output stream). public StackTraceElement  getStackTrace() – Returns an array with each element present on the stack trace. The index 0 element will symbolize the top of the call stack, and the last element of array will identify the bottom of the call stack. 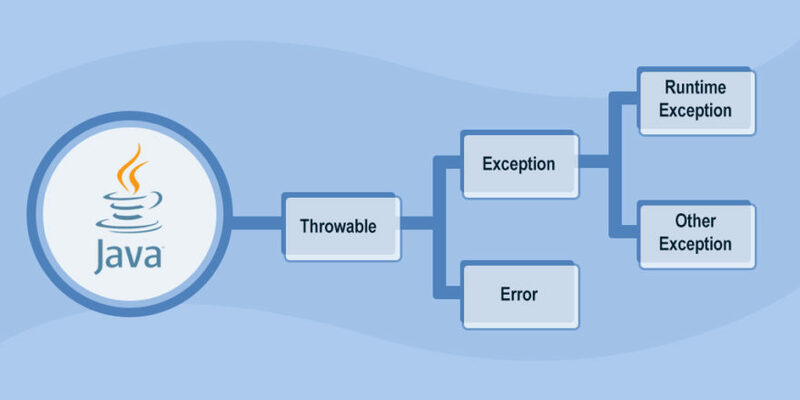 Checked exceptions are also known as compile-time exceptions as these exceptions are checked by the compiler during the compilation process to confirm whether the exception is handled by the programmer or not. If not, then the system displays a compilation error. For example, SQLException, IOException, InvocationTargetException, and ClassNotFoundException. It is clearly displayed in the output that the program throws exceptions during the compilation process. There are two methods of resolving such issues. You can declare the exception with the help of the throw keyword. Output: The file will be displayed on the screen. Apart from the above-mentioned method, there is another way to resolve exceptions. You can manage them with the help of try-catch blocks. Output: The code will run smoothly and the file will be displayed. Output: This code will generate a SQLException. Output: This code will generate an IOException. Output: This code will generate a ClassNotFoundException. Invocation of testMethod failed because of: The string must contain at least one character! Output: This code will generate an InstantiationException. The unchecked exceptions are those exceptions that occur during the execution of the program. Hence they are also referred to as Runtime exceptions. These exceptions are generally ignored during the compilation process. They are not checked while compiling the program. For example, programming bugs like logical errors, and using incorrect APIs. Output: NullPointerException is found in the program. This type of exception occurs when you try to access an array with an invalid index value. The value you are providing is either negative or beyond the length of the array. This type of exception occurs whenever an inappropriate or incorrect argument is passed to a method. For example, if a method is defined with non-empty string as parameters. But you are providing null input strings. Then, the IllegalArgumentException is thrown to indicate the user that you cannot pass a null input string to the method. // This command will be successfully executed. // This command will throw an IllegalArgumentException. Output: This code will generate an IllegalArgumentException. * This code will publish the current book. * If the book is already published, it will throw an IllegalStateException. Output: This code will generate IllegalStateException. If a publication date already exists in the system, then it will produce an IllegalStateException that indicates that the book cannot be published again. Output: This code will generate NumberFormatException. Output: This code will generate an ArithmeticException.